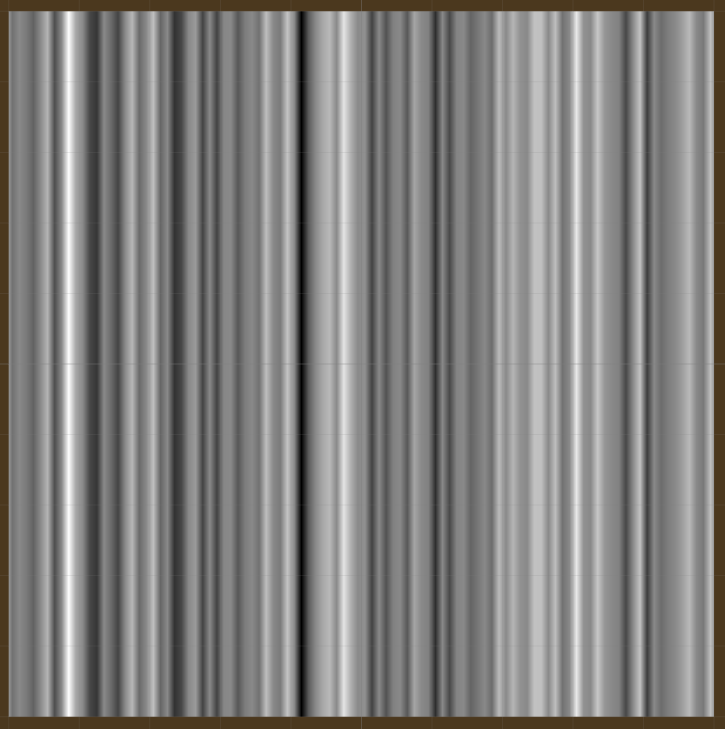 Perlin Noise generating as vertical lines instead of noise. I'm following a series of tutorials on YouTube about how to procedurally generate terrain using Perlin Noise. Everything was going fine until I made a change (I don't remember what I changed though) and the "noise" started to render as vertical lines. I've been trying to debug this for two days now, but I don't have any prior experience with Perlin Noise, and my googling and research haven't brought me anything. I don't know if I'm just not searching for the right thing but it would really help if someone could tell me what I'm doing wrong. Here's what the image looks like right now. Just let me know if you need any more information! I didn't read the code but I know the offset for Y-axis are wrong. Do you know what I should change? Sorry, I'm kind of new to this. The offsets are both set to 0, but I don't know if that's what you mean. Nevermind I found it myself. It was a stupid typo. I accidentally typed x - halfHeight instead of y - halfHeight.